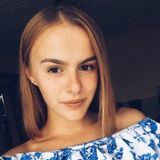 Want to connect with Oleksandra? I hope you are having a good day. I am searching for a house cleaning provider position in Kansas City, Kansas. I will be a caring employee. Available now. I am happy to help with surface polishing, bed changing, and refrigerator cleaning. I own all necessary equipment. I have extensive experience.